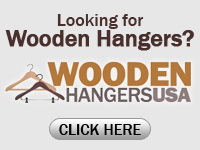 Description: Our Unbreakable Plastic Hangers are made of tough K-Resin plastic and are virtually indestructible. The neckline of this plastic hanger is wider to support the collars of dress shirts and lapels. The industrial grade steel swivel hook also makes this plastic hanger a perfect choice for coats. You can attach a pants/skirt hanger to the tough attachment loop to display suits or outfits. This versatile plastic hanger also has notches for hanging spaghetti straps or security loops. It's a great staple to have in any home or retail clothing store! ©2011. Plastic Hangers USA. All Rights Reserved.